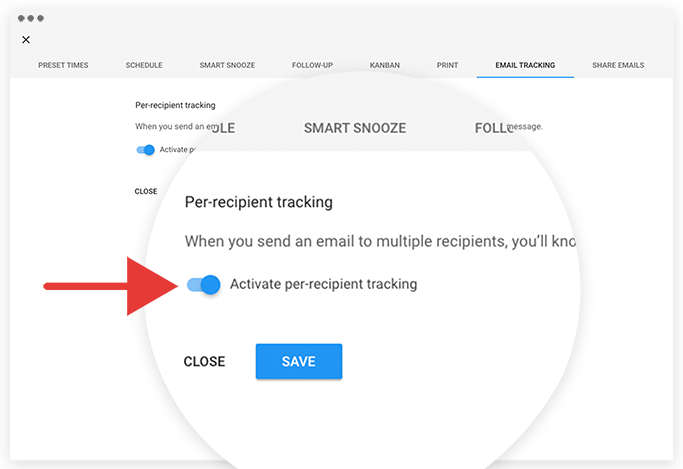 Gmelius offers per-recipient email tracking to know exactly which recipient has opened an email sent to multiple contacts, instead of the "Read by someone" notification. 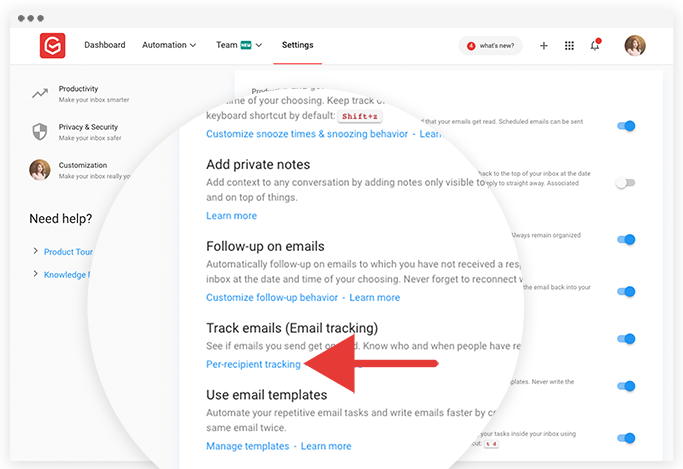 To enable this tracking technology, open your Gmelius dashboard, navigate to the Settings page and click on "Per-recipient tracking" under the feature called "Receive a read receipt". Switch on the feature and save your changes. Voilà ! * If you're in our legacy Premium plan please select another plan, i.e., Sales or CRM from our Pricing page, re-enter your billing details if invited to do so and we'll automatically convert your existing subscription to the chosen one. All new subscriptions start with a free 14-day trial period and all changes of plans are pro-rated.